1. 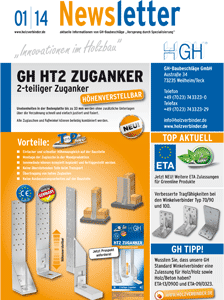 The Holzverbindershop carries out all sales and deliveries of wood fasteners, tools, accessories and industrial articles (hereinafter referred to as the “products”) exclusively according to the following General Terms and Conditions (GTC), unless expressly agreed in writing. This also applies if these GTC are not explicitly referred to. 2. Any contrary purchasing, contractual or other General Terms and Conditions of the customer shall not apply, even if the customer refers to them and GH BAUBESCHLÄGE does not expressly object to them once again. 3. Separate contractual conditions apply to installations, repairs and other services, unless these GTC are referred to. 1. The presentation of our products is not considered a binding offer to conclude a contract. The presentation is designed to prompt the customer to make such an offer by submitting an order. By sending an order from their virtual “shopping cart”, the customer provides a binding contractual offer to purchase the products in their shopping cart. We send an order confirmation in return via e-mail. This confirmation represents our acceptance of the contractual offer, and concludes the contract. 2. Information on technical applications is provided without any express guarantee. The customer is solely responsible for determining whether products are applicable for a specific purpose through their own testing. 3. We save the contractual test. You will no longer have access to the contractual text after the contract is concluded. You can use the printer function on your browser to print out the contractual text. You can also save the contractual text by right clicking the website to be saved and saving it on your computer. After you send your order, you will receive an e-mail from us confirming that it has been submitted. 4. Before sending in your order, you can review the overview to check for input errors. You can change or delete these by pressing the red Change button in front of the item. In addition, you can correct errors by using the “Back” function offered by your web browser and making changes on the previous page. Section 3 Prices 1. The prices indicated in the order confirmation are decisive. 2. The prices do not include packaging, shipping costs or transportation insurance and customs duties. They do not include costs for installation and commissioning. 1. Payments are due 30 days after the invoice date without deductions. Customer payments must be made to GH BAUBESCHLÄGE. 2. If the customer does not make payments that are due, or if payments are deferred, GH BAUBESCHLÄGE is entitled to charge default interest of 3% above the bank rate of the German Federal Bank from the original due date, and at least 6% p.a., unless the customer proves that interest damages were significantly lower than this amount. 3. If the customer does not fulfil their contractual obligations, including those resulting from previous orders, towards GH BAUBESCHLÄGE, GH BAUBESCHLÄGE is entitled to suspend further services in whole or in part and request immediate cash payment for receivables due or the provision of securities. If the customer experiences a significant worsening of their asset situation, GH BAUBESCHLÄGE is entitled to only provide further services to the customer in return for advance payment or a security. 4. Rights of offsetting or retention may only be exercised in relation to counter-claims by the customer that are undisputed or have been established in a court of law.
. 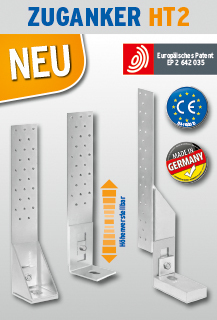 Deadlines indicated by GH BAUBESCHLÄGE, in particular delivery deadlines, are only binding if they are expressly confirmed as binding in the order confirmation. If binding delivery deadlines are not met, the customer can assert any rights under clause 2 only if they have previously provided a notice period of at least 4 weeks, with a declaration that the service will be rejected after this term. 2. If a delivery is delayed or impossible due to circumstances for which GH BAUBESCHLÄGE is not responsible, the customer shall have no further rights against GH BAUBESCHLÄGE beyond the right of withdrawal, in particular no rights to compensation for damages. If GH BAUBESCHLÄGE is responsible for the delay or impossibility of delivery, the customer shall be entitled to compensation for damages only to the extent stipulated in Sec. 10 (Liability). 3. Delivery and service terms shall be extended appropriately in case of force majeure or any other obstacle for which GH BAUBESCHLÄGE is not responsible that has a significant influence on the delivery or service. 4. If the customer falls into default of acceptance, GH BAUBESCHLÄGE is entitled to store products at the customer's risk. Costs incurred due to the storage by GH BAUBESCHLÄGE shall be borne by the customer, at a minimum of 0.5% of the invoiced value each month. 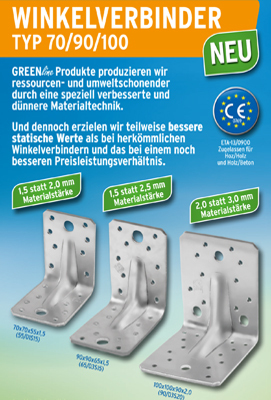 GH BAUBESCHLÄGE is entitled to dispose of the products in some other manner after a reasonable notice period has passed without rectification of the issue, and to invoice the customer for 20% of the purchase price in damages as a minimum, unless the customer verifies that the actual damages were significantly less. 5. The customer is entitled to return transportation packaging to GH BAUBESCHLÄGE at its own cost. 6. GH BAUBESCHLÄGE is entitled to make partial deliveries. If the handover is delayed due to circumstances for which GH BAUBESCHLÄGE is not responsible, risk shall be transferred to the customer when the goods are ready for handover. This means, in particular, that GH BAUBESCHLÄGE retains its claim to compensation if the handover was impossible after this time for reasons for which GH BAUBESCHLÄGE was not responsible. 1. If delivered products have defects, or if they are missing guaranteed characteristics, reworking or replacement deliveries shall be provided free of charge. If GH BAUBESCHLÄGE misses a reasonable grace period provided to it without a replacement delivery or without correcting the defect, or if the reworking is unsuccessful, the customer can request a proportional reduction, compensation for or reversal of the contract. Further claims by the customer of any kind, in particular claims for damages due to non-performance, are excluded regardless of any rights under Sec. 10. 2. With respect to removed components, the customer's defect notification shall be considered an offer to transfer ownership which GH BAUBESCHLÄGE accepts by completing the repair. 3. Reworking shall be completed at the discretion of GH BAUBESCHLÄGE either on site at the customer's location or in the GH BAUBESCHLÄGE repair centre in Kirchheim/Teck. Any transportation or travel costs incurred shall be borne by GH BAUBESCHLÄGE. 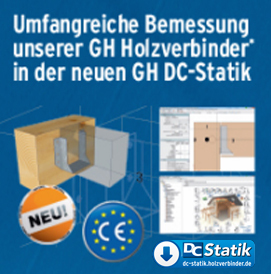 d) that are damaged by combining GH BAUBESCHLÄGE products with other equipment, unless the customer can verify that these actions or circumstances did not cause the defects included in the complaint. 6. The warranty shall not apply if complaints for defects are not submitted immediately - for obvious defects at the latest within 10 days from delivery - in writing. 1. GH BAUBESCHLÄGE reserves ownership to delivered products (hereinafter “reserved goods”) until all claims of the customer resulting from the contractual relationship and all other claims that exist when the contract is concluded are settled in full. 2. The customer shall safeguard reserved goods for GH BAUBESCHLÄGE using proper due diligence, insuring them at its cost sufficiently against fire, water, theft and other liability risks. The customer hereby assigns its claims in this respect under insurance agreements to GH BAUBESCHLÄGE upon conclusion of this agreement, and GH BAUBESCHLÄGE hereby accepts this assignment. 3. The customer shall inform GH BAUBESCHLÄGE promptly and in writing of any compulsory enforcement actions or other actions impairing the reserved goods by third parties. The customer shall bear any costs necessary to safeguard the rights of GH BAUBESCHLÄGE, unless these are to be reimbursed by third parties. 4. The customer may process, combine and mix reserved goods in the course of its normal business activities. However, reserved goods shall only be processed, combined or mixed exclusively for GH BAUBESCHLÄGE, which shall obtain a percentage of co-ownership of the finished goods or new products corresponding to the ratio between the value of the reserved goods and value of the finished goods or new products. Clause 2 shall apply accordingly. 5. The customer is furthermore entitled to sell the reserved goods or any objects co-owned by GH BAUBESCHLÄGE subject to a retention of ownership in the normal course of business. The customer hereby assigns its future receivables resulting from transfer of the reserved goods to GH BAUBESCHLÄGE by way of security in the amount of their invoiced value until all claims indicated in clause 1 are paid in full. GH BAUBESCHLÄGE accepts this assignment. If GH BAUBESCHLÄGE only holds co-ownership of the sold goods, the receivables shall be assigned in the amount of the sale value of this share, and shall take priority over the other receivables. Upon request by GH BAUBESCHLÄGE, the customer shall indicate the names and addresses of the relevant purchasers to GH BAUBESCHLÄGE, as well as the type and scope of its claims against said purchasers. GH BAUBESCHLÄGE may disclose this assignment at any time to safeguard its payment claims. Pledging or mortgaging the reserved goods is not allowed. 6. If the customer violates the contract, in particular by falling into default of payment, GH BAUBESCHLÄGE is entitled to take back the reserved goods at the cost of the customer or request assignment of the customer's rights to recovery against third parties, and to revoke the customer's entitlement to sell the goods, collect receivables and process, send and mix the reserved goods. These rights also exist if the secured receivables have already expired. Unless the Instalment purchase act applies, GH BAUBESCHLÄGE taking back or pledging the reserved goods shall not be considered a withdrawal from the agreement. GH BAUBESCHLÄGE is entitled to sell the reserved goods and to satisfy its own claims from the proceeds by offsetting them against open receivables. 7. If the value of the existing securities exceeds the receivables by more than 10%, GH BAUBESCHLÄGE is obligated upon request by the customer to release relevant securities at its own discretion. 8. Insofar as GH BAUBESCHLÄGE is entitled to take back reserved goods, the customer shall grant it and its agents an irrevocable right to enter the customer's business premises to pick up the goods during normal business hours. 1. All patents and other commercial property rights which exist to goods delivered by GH BAUBESCHLÄGE shall be retained exclusively by GH BAUBESCHLÄGE. 2. If violations of third party property rights (patents, copyrights, etc.) are asserted after the contract is accepted, and if this interferes with or prevents use of the products delivered or to be delivered under the contract (including programs), GH BAUBESCHLÄGE may, at its discretion and cost, either modify or replace the products or programs so that they no longer violate third party property rights but do correspond to the conditions of the confirmed contract, or can release the customer from licensing fees for use of the products, or can take back the products in return for reimbursement of the purchase price paid by the purchaser, after taking an appropriate usage fee for the period during which the customer could use the products. In the latter case, a monthly usage fee shall be offset against the purchase price reimbursement, based on a total usage term of 5 years. 3. If third party claims are asserted against the customer due to an alleged violation of property rights by the product, GH BAUBESCHLÄGE shall be solely responsible for deciding whether and how the resulting legal disputes shall be managed. The customer may not conclude any settlements or make any other concessions without the prior written approval of GH BAUBESCHLÄGE. 4. GH BAUBESCHLÄGE shall only be liable for property right violations if the customer has notified GH BAUBESCHLÄGE promptly and in writing of the assertion of alleged third party rights. 5. GH BAUBESCHLÄGE shall not be liable for property right violations by the delivered products insofar as said products are used in a manner not authorised by GH BAUBESCHLÄGE, or insofar as the property rights violation resulted from the products being used or combined with other products or data not originating from GH BAUBESCHLÄGE or not approved by it in writing. c) GH BAUBESCHLÄGE culpably violates a significant contractual obligation (cardinal obligation) in a manner endangering the purpose of the contract. 3. GH BAUBESCHLÄGE shall not be liable for indirect damages, damages resulting from defects or lost profits, insofar as the liability does not result from intentional actions or gross negligence by bodies or managing employees of GH BAUBESCHLÄGE, or from the lack of guaranteed characteristics. 4. GH BAUBESCHLÄGE shall be liable for lost data under the above provisions only to the extent that such data loss could not have been prevented if the customer backed up the data it created (or if it had backed up this data) promptly after completing processing with a backup copy in a machine-readable format. 5. In every case, liability shall be limited to damages that GH BAUBESCHLÄGE could reasonably expect to occur at the conclusion of the contract. 6. Unless otherwise expressly stipulated in the sections above, all liability by GH BAUBESCHLÄGE for simple negligence for any legal reason, including default, impossibility, culpability at the conclusion of the contract, positive contractual violation, culpable violation of reworking obligations and prohibited actions shall be excluded. 7. The exclusion or restriction of claims for damages under the above sections also includes claims due to prohibited actions and claims against employees and contractors of GH BAUBESCHLÄGE. The customer may not assign claims against GH BAUBESCHLÄGE, including any warranty claims, to third parties. 1. If not otherwise agreed in writing, the delivered products are intended only for use and are intended to remain in the Federal Republic of Germany. They may be re-exported only in accordance with the relevant “US Export Regulations” and German foreign trade law. 2. Contracts are always confirmed conditional upon export approval under the “US Export Regulations”. GH BAUBESCHLÄGE processes personal data in accordance with applicable data privacy provisions and within the purpose of the contractual relationship. 1. In case of doubt regarding the legal validity of one or more provisions, the remainder of these GTC shall remain binding. 2. Amendments or supplements to these GTC and confirmed contracts shall require the written form. This written form requirement can only be revoked by way of a written agreement between the parties. 3. This Agreement is subject only to the material law of the Federal Republic of Germany. The Hague Conventions Relating to a Uniform Law on the International Sale of Goods are excluded. 4. If the customer is a merchant and not a tradesman as designated in Sec. 4 of the Commercial Code, the District Court of Kirchheim/Teck has sole jurisdiction for all legal disputes resulting from or in conjunction with this agreement, unless there is an applicable exclusive statutory place of jurisdiction. Regardless of this, GH BAUBESCHLÄGE remains entitled to bring complaints or initiate other court proceedings at the customer's general place of jurisdiction. Liability notice: Despite careful controlling, we accept no liability for the contents of external links. Only the page operators are responsible for the contents of linked pages.